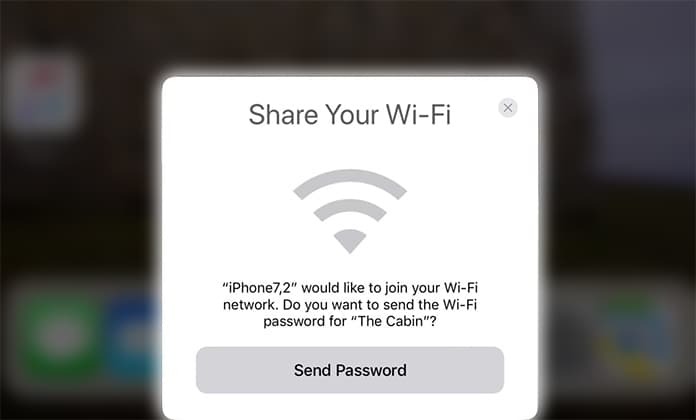 Sharing WIFI password is much easier in iOS 12 as compared to the previous versions of iOS. We know that if we have to share WIFI network with nearby devices, we have to share it by sharing the password or by activating the WIFI hotspot. But with iOS 11, we can easily share WIFI password with the nearby devices. The best thing this feature is it is easy to perform. You don’t have to do anything or perform any method in order to share your password. You will just have to put your device near the iPhone which already has the network, and it will share the WIFI password. The whole process just takes a short period of time and is safe and secure in all terms. You can perform this method with your iPhone, iPad, and Mac to share your password. 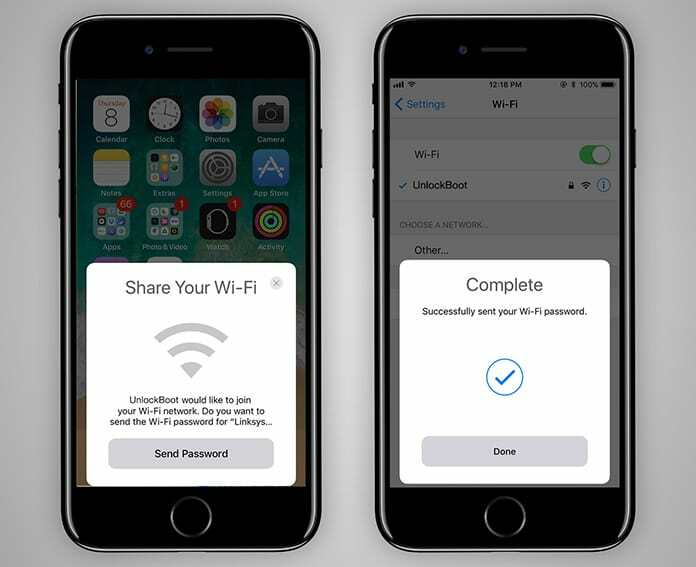 The feature of sharing WIFI password comes with the feature which allows you to set up your new phone using your old iPhone or iPad. This feature uses WIFI and Bluetooth resources to complete the process. The process is basic and easy to understand. All you need is placing your new iPhone near the old one for some time. It will ask to share your all settings with the new one. After confirming from the old iPhone, you will be able to use your old settings in the new iPhone. Oppositely, you will not have to set up our new iPhone. You needn’t to change the settings and put the WIFI password. Just share the Settings from your old iPhone, and it will do all the stuff itself. Most of the people are well aware of this new feature, but they don’t know how to use this. Well, the process is straightforward. Besides sharing your password, you can share all the settings and iCloud passwords quickly. This process is called Automatic Setup. First of all, open your iPhone and place the new iPhone in the same position i.e. in front of the iPhone. After some time, it will ask for sharing the stuff from your old iPhone. 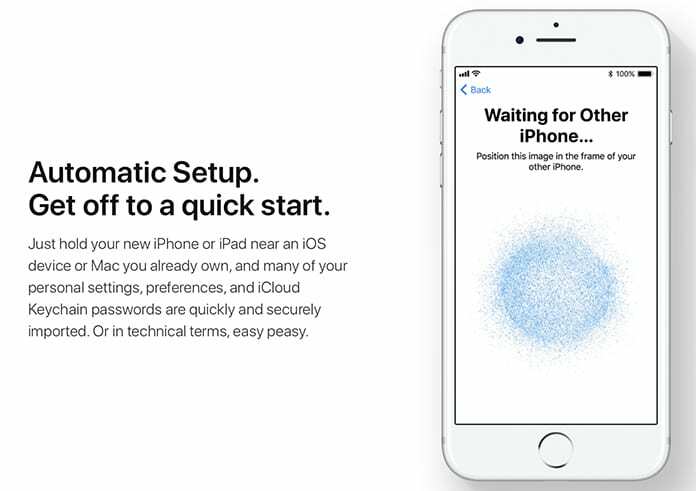 Now all the settings, iCloud accounts, and WIFI passwords have been shared to your new iPhone. You can now enjoy anything without setting it up. While considering this new feature, some people think that this process is not safe. Well, this is not true. The process is safe and secure and can be done on any of your iPhone or iPad. When you share the WIFI password, it only allows the device to connect to the WIFI without typing the password on it. It doesn’t allow seeing the actual password on the device. So it is a safe process. On the other hand, if we consider sharing settings and iCloud accounts, it only shares the data that is not sensitive including settings of your phone and iCloud accounts. So don’t worry about the safety of this process and have fun!